The later in the season we go, the less exciting the card shows become. For the past few years I would go with true. Too many months of seeing the same ol' stuff and the nice weather (especially here) makes going to a stale arena to look at cards just a tad less exciting. Still though, any chance I get to go to a show....I'm in. And I'm glad I did last month. For those of you who know me, I'm a sucker for a deal. But I try not to cave as bad as I once used to. I'm happy to splurge on some low $$$ cards if it can help my trade box or I can flip them for a little something extra. I'm not sniper like some others though and often I'm just happy to break even. But I did land a couple cards that I think will lend me a little profit down the road - always nice to add cards like that. But that's for another time. 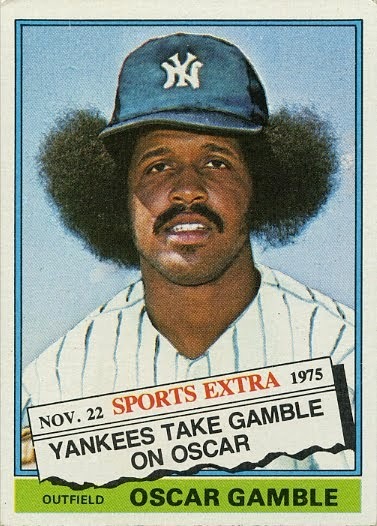 Today, I'm showing off the other card I picked up. It's one more off the list of my newest project. When it comes to cards in this set, Rob Blake would be on the lower end of the price scale...and maybe even the desirability scale. Works for me though. I really like the photo in this shot. Big smile, nicely framed and it just brings back memories of that great Avalanche team. The signature is a little on the scribbly side, but c'est la vie. I saw it in the discount box a couple months ago (when I bought the Datsyuk and Fuhr cards) but held off hoping it would go down in price. And guess what....it did. Not much though, but enough to make it worth the trigger pull. Considering that it was priced in Canadian dollars (which all the cards are at this show obviously) it compared very well to those that had sold recently online. Scratching off the easier ones early....fine by me. That's one sharp looking card. Love that ear to ear smile. 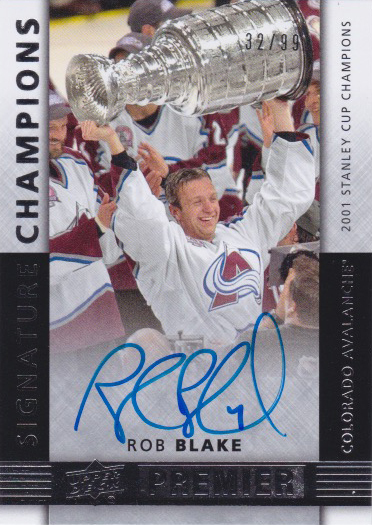 Rob Blake is very underrated. Great pickup. Whenever I'm on COMC... it amazes me how cheap autographs of Blake are.